Casa Bosco, a stone house on a hill near the sea, airy and luminous, under pine trees, framed by imposing granite cliffs – a dream vacation residence. It is one of a group of five recently built stone houses, located high on a hill that borders on the beach of Porto Taverna and integrated harmoniously into the landscape. It is only a few steps to the sea. Deep blue water as clear as glass, a white sandy beach and a view of the rock island Tavolara off the coast, the emblem of this region – within swimming distance – captivate the visitor at first sight. Five private villas and the main building with 2 ground floor apartments and a roof deck apartment, as though they were scattered by chance among green Mediterranean scrub, gray cliffs and shady pines on a hill over the sea. A small, knee-deep lagoon connects the inland lake in the interior with the sea. Each of the detached stone houses is equipped with a living room area, kitchen, bathroom with shower and two bedrooms with a total of 4 beds. All houses have air conditioning. The kitchen is well-equipped with dishwasher and oven. A washing machine is, of course, also available. The outside area consists of a roofed deck, equipped with comfortable wooden furniture for sitting or lying down. The stone houses are separated from each other by pines and crags, and they offer different vantage points on the surrounding landscape. From the deck you have a view of the sea. Enjoy the video of casa Bosco. 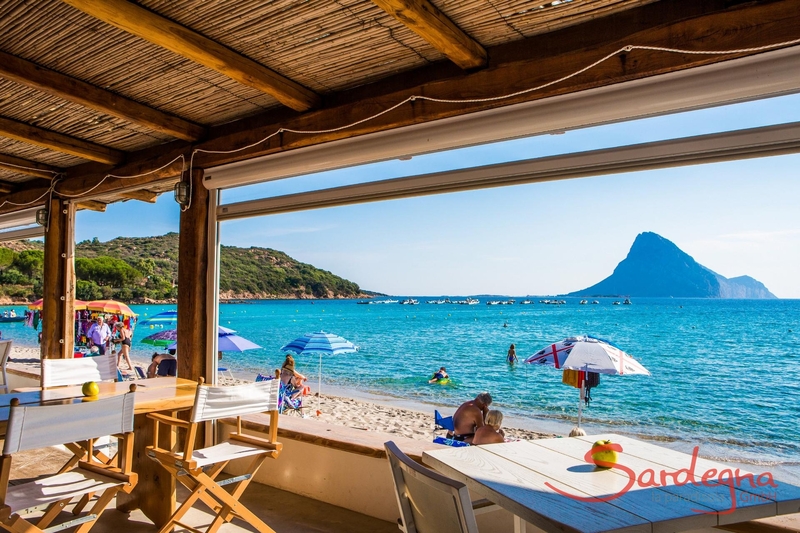 A dream location on the beach of Porto TavernaCasa Bosco, a stone house on a hill near the sea, airy and luminous, under pine trees, framed by imposing granite cliffs – a dream vacation residence. It is one of a group of five recently built stone houses, located high on a hill that borders on the beach of Porto Taverna and integrated harmoniously into the landscape. It is only a few steps to the sea. Deep blue water as clear as glass, a white sandy beach and a view of the rock island Tavolara off the coast, the emblem of this region – within swimming distance – captivate the visitor at first sight. Five private villas and the main building with 2 ground floor apartments and a roof deck apartment, as though they were scattered by chance among green Mediterranean scrub, gray cliffs and shady pines on a hill over the sea. A small, knee-deep lagoon connects the inland lake in the interior with the sea.Pine trees, a lagoon and the Gallura CliffsEach of the detached stone houses is equipped with a living room area, kitchen, bathroom with shower and two bedrooms with a total of 4 beds. All houses have air conditioning. The kitchen is well-equipped with dishwasher and oven. A washing machine is, of course, also available. The outside area consists of a roofed deck, equipped with comfortable wooden furniture for sitting or lying down. The stone houses are separated from each other by pines and crags, and they offer different vantage points on the surrounding landscape. From the deck you have a view of the sea.Enjoy the video of casa Bosco.NearbyA Mini Market and a pizza restaurant are located in walking distance at the Tavolara Camping. You will also find restaurants and supermarkets in the fishing village, Porto S. Paolo, only 2 km away. 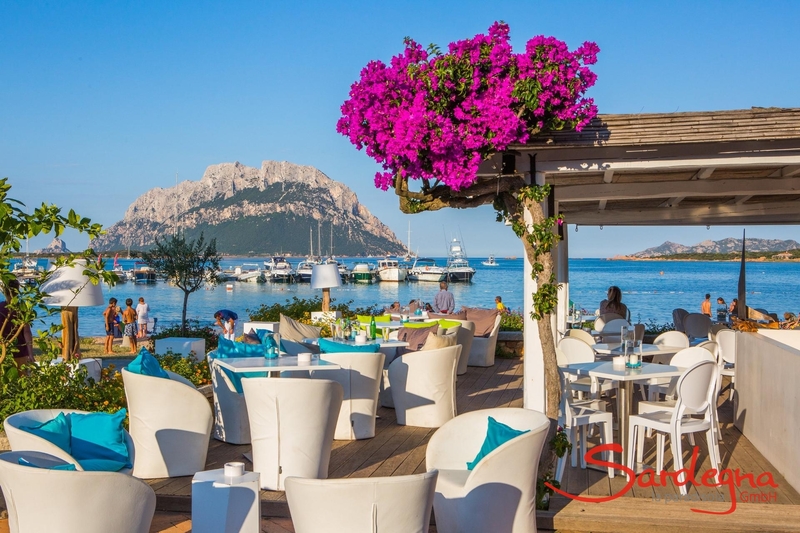 Right next to the small port of the native fishermen, an idyllic restaurant with view of Tavolara Island invites you for lunch or dinner in fresh air. At only a few kilometers’ distance, in the Southern direction you find the dream beaches of Capo Coda Cavallo, Tahiti, Brandinchi, l’Impostu and the famous La Cinta beach of S.Teodoro. To the north, still before reaching Olbia, the beaches of the Costa Corallina of Porto Istana, Capo Ceraso, Li Cuncheddi and Le Saline. You will find a wide array of leisure activities at the beaches (rubber boat rental, surfboard rental), and also horses and bike and scooter rental. The nearest golf course is roughly 15 km to the south. It is 15 minutes in car to the airport and the port of Olbia.